Princess Cut and Round Diamond Engagement Ring | Shane Co. This exquisite engagement ring is set in 14 karat white gold and features 78 round diamonds, at approximately .48 carat TW and eight princess cut diamonds, at approximately .96 carat TW. 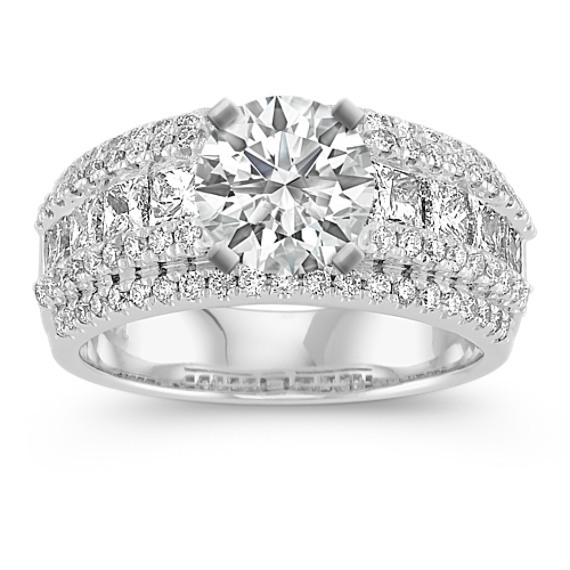 The total diamond weight is approximately 1.44 carats and the band is 8mm wide. Add the center diamond of your choice to complete an eye-catching look.